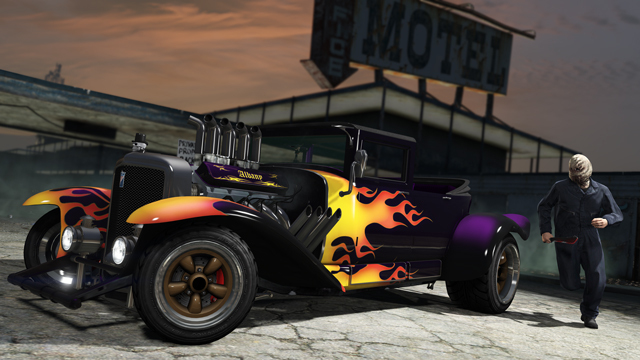 Navigating the freeways of Los Santos just got more terrifying with the addition of these two ghastly new vehicles. 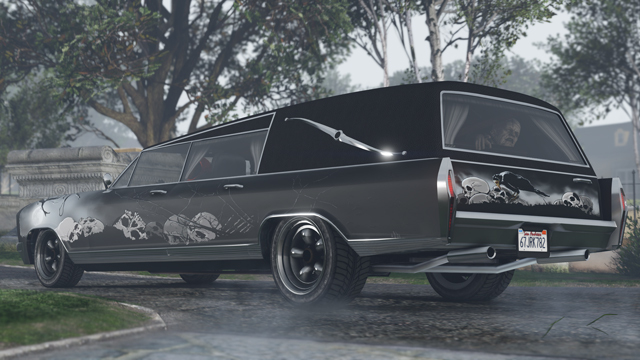 Show your dark side while getting around in the Lurcher Hearse and the Franken Stange – both available for a limited time only, along with 20 ghoulish new Bobbleheads that can be added to the dashboard of any customizable Lowrider. Strike fear into your opponents by donning one of the horrific new masks now available in the Monsters section of Vespucci Movie Masks. 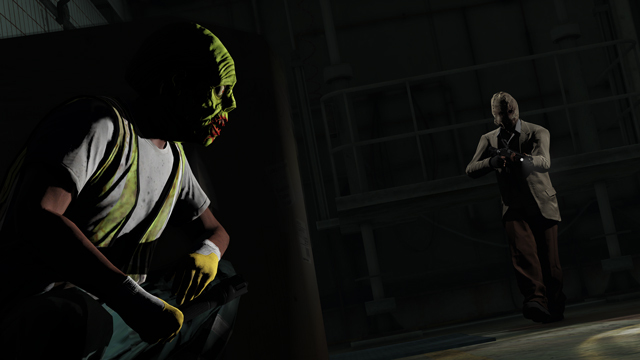 If you and your Crew are tackling a Heist between now and November 16th, a new Halloween mask category will be the default option on all Heists. 30 Spooky new styles of Face Paint are also available to help you get into the spirit of the season. Enjoy thrills and suspense with the lights out in this tense new Adversary Mode for up to 8 players. Run, hide, and fight to survive in the darkness as the player designated as the Slasher stalks their prey with a Shotgun. Use your new Flashlight to navigate if you dare, but be careful not to reveal your position or you’ll quickly become prey. 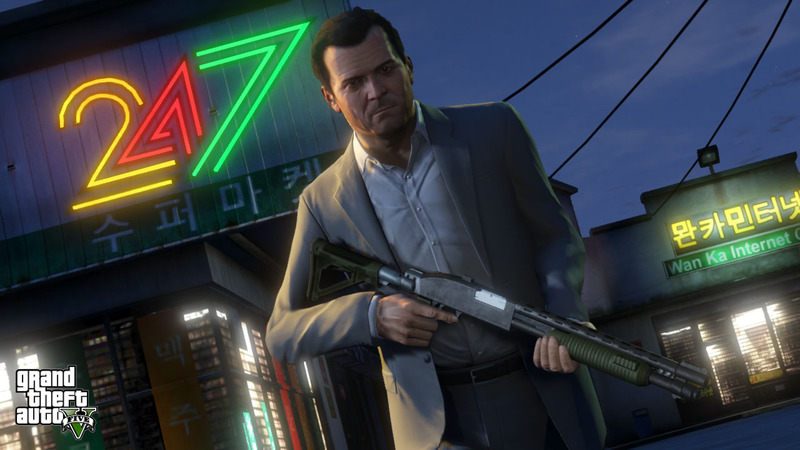 Survive for 3 minutes and you’ll get the chance to return the favor with a Shotgun of your own. Stay tuned for details on this weekend's special Halloween activity, including a livestream this Friday October 30th at 5pm ET featuring the Rockstar Broadcast team and special guests to be announced. Have fun and show off your new costumes in the forums! 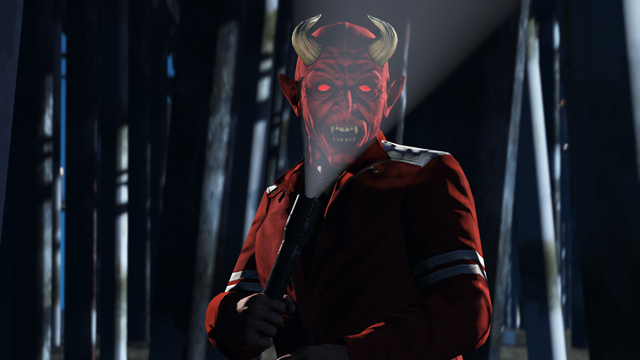 GTAO Halloween Surprise DLC - Boo! 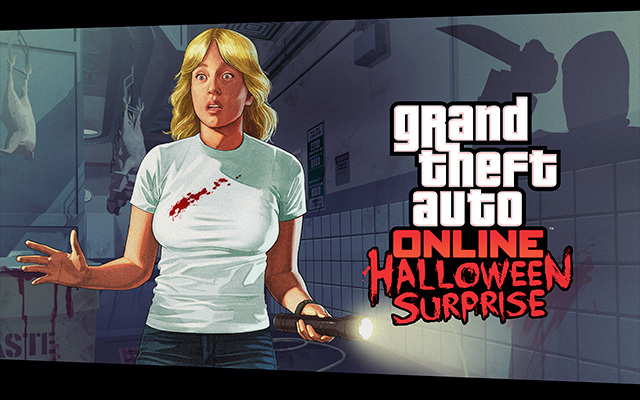 A special, spooky update is now available on new-gen: Halloween Surprise!